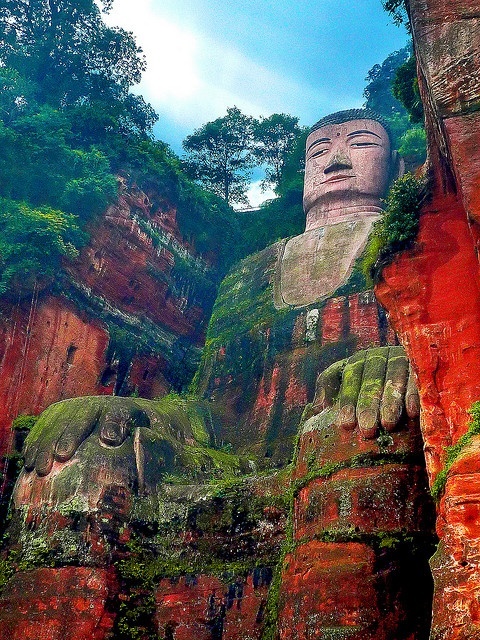 The Leshan Giant Buddha was built during the Tang Dynasty (618–907AD). It is carved out of a cliff face that lies at the confluence of the Minjiang, Dadu and Qingyi rivers in the southern part of Sichuan province in China, near the city of Leshan. The stone sculpture faces Mount Emei, with the rivers flowing below his feet. It is the largest stone Buddha in the world and it is by far the tallest pre-modern statue in the world.